The number of people travelling into the city centre by luas, bus or train has reached record levels. Dublin City Council and National Transport Authority stats show over 112 and a half thousand people came into town this way in 2018. That's compared to around 107 thousand in 2017. More than half of all commuters - 52.6% - are using public transport compared to 45.9% in 2010. 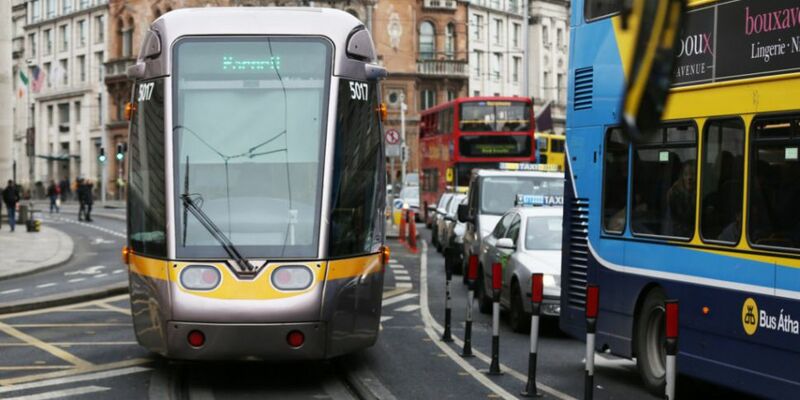 Luas saw a jump of 15 per cent in morning peak passengers, while the number of people travelling by car has fallen for the tenth successive year. 12,227 people cycled into the city centre - the second highest number ever - but it's down very slightly from the previous year.